This mod allows you to show off your skins even if the server is in offline mode. In case of your normal skin doesn't load, you can add your/others skin in the generated folder (.minecraft/cachedImages/skins), named after your username and ends with .png. This way the mod will use the provided file to load a skin for your/others character. [This can be turned off] Crafatar will also be used to provide skins when normal skin doesn't load. This mod is Client-Only, you don't need to install on server. This mod was developed before SkinPort but it has been rewritten using codes from SkinPort several times. There might be some bugs, reporting them to me is appreciated. This might be over the line but it would be awesome if you made a plugin version of this mod for Spigot/Bukkit. Are you able to update the 1.8.9 version to have the feature where you can force load local files (force load local skins and capes, the one where you name the skin image your account name as a png file) This is all I ask for as I would love the force load feature in 1.8.9 for servers like Hypixel and Mineplex. I can, but... my mod for that version was released 3 years ago. Is the combat system change that bad? Well no, the combat isn't horrendous and I personally don't hate the combat as much as other probably do. However, I already have a 1.8.9 modpack established for use on those servers, and then I have 1.12.2/1.13.2 packs for 1.12.2/1.13.2 servers. So for those mini game servers like Hypixel and Mineplex, I use the 1.8.9 pack. Also, you most definitely know this since you're a mod developer, but as you know comparing 1.8.9 combat and the the way packets are sent to 1.12.2 and the way packets are sent, it's different protocols and the discrepancies that occur from supporting 6 different versions (it's crazy) of minecraft (like Hypixel) build up over time, when on the same server fighting in 1.12.2/1.13.2 isn't the same as in 1.8.9 since 1.8.9 is the base version and 1.12.2 is the version that is trying to be forced to mimic 1.8.9. However, for server like Cubecraft, I happily use 1.12.2/1.13.2 etc. and in SSP I use the latest version. I have back-ported recent versions to 1.8.9. It is currently processing on CurseForge, it requires Java 8. You can grab it from releases page on GitHub if it takes a long time to process. This is probably a longshot, but a feature where it selects a random skin from the folder every time you die would be really really neat. I play a modded setup where when i die i get thrown to a random spot within 2000x2000 of world spawn and beds are disabled. Its fantasy medieval themed and i want to play as a "different knight" every time i die, after downloading 20 or so knight skins. Explaining how you can respawn after dying. See, i gotta make everything immersive in my game and this mod could be a solution to making respawning more immersive. As in, you died, now youre playing as someone else.. Interesting idea, but because this is a client-only mod, to make the skin persistent during a life (simply re-entering a singleplayer world or a server should not change the skin), the mod will need to save these states for different saves and servers in a file. A separate mod or a skin changing plugin would be more suitable for this. 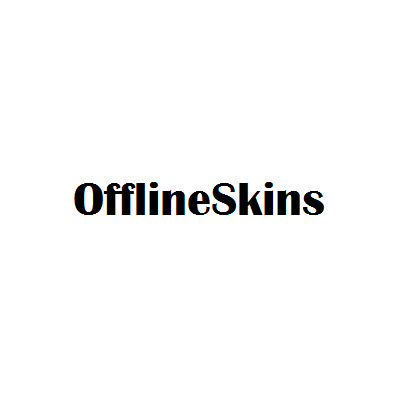 Currently the mod will refresh the skin if it is no longer in use for 15 seconds, you can manually swap to a random skin after death and exit to main menu, wait 15 seconds, re-enter the world/server, the new skin will be applied to you. If you really need it fully automatic, open an issue at this mod's github page, describe in more detail. This information suffices, thank you muchly :) Problem is i no longer have access to the emails belonging to my two minecraft accounts. And i dont want to deal with indian tech support hell to get that email changed, so i cant transition the account status to being a new "mojang" account that their system uses now and change my skin anymore, lol. (Note: I tried both ashahir05.png and ashahir05 with no file extension). I have one more question. Is it possible to use fabric on 1.13.2 or Offline Skins on Rift??? No, this mod does not work with Rift. And about fabric on 1.13.2, quite some efforts needed for fabric to work on 1.13.2, so the answer is also no, at least for now. I just created a testing site using that service, tried it with v1j-fabric. It turns out that normal java couldn't validate the certification of that site during SSLHandshake. what size/resolution does the cape images have to be? i cant seem to get it to work. For reference, you can see what Mojang has for their employees. dang my internet is really cruddy and i hate having to have the steve skin. its determined. THIS IS THE BEST MOD EVA!!!!! !